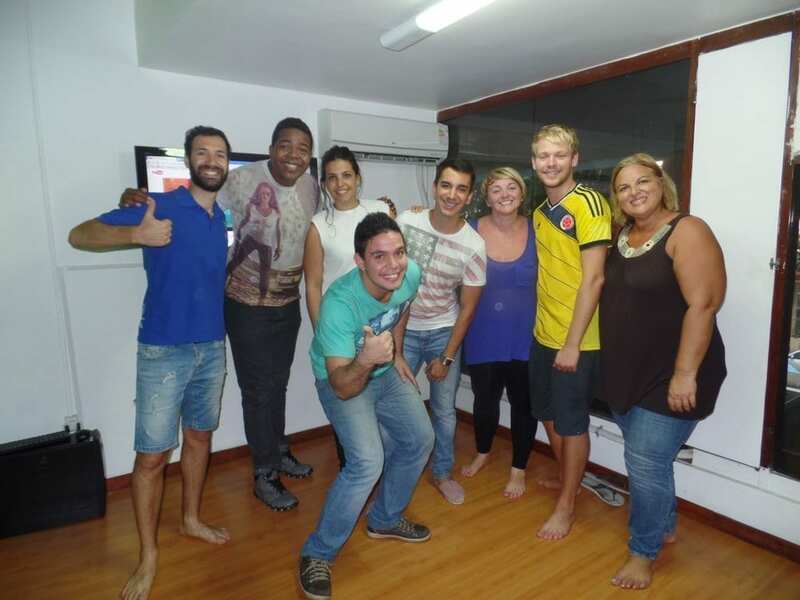 Sambando at Rio & Learn - Discover Rio – RioLIVE! Sambando at Rio & Learn. 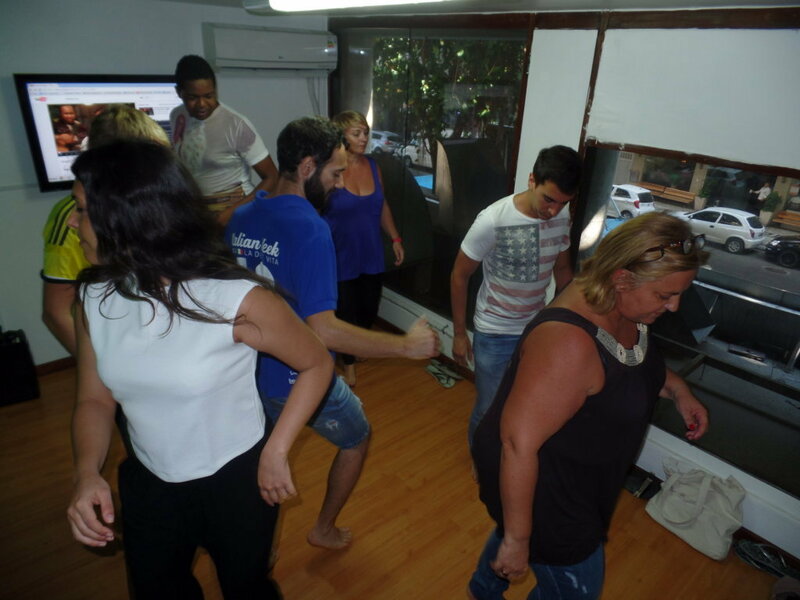 M´ha agradat molt la classe de samba a Rio&Learn. Tenia molta curiositat per conéixer com es balla i ha estat super divertit!!! Hem rigut molt i ara ja sé defensar-me una mica millor a la samba da rua! Samba is considered one of the most popular cultural displays of Brazil. And when it comes to Rio de Janeiro, it’s not different. All the tourists that arrive in Rio have to know this musical rhythm that is played at the best places of the city. 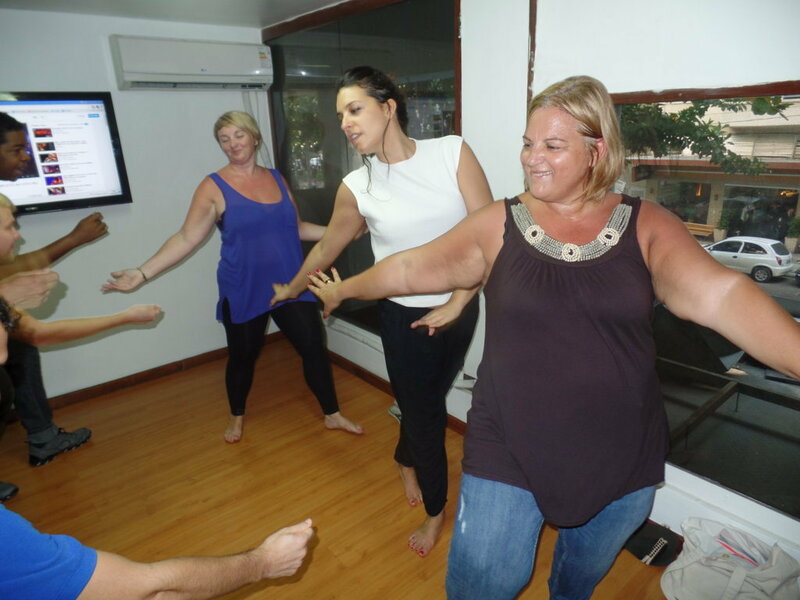 We gathered at the school for a samba class. 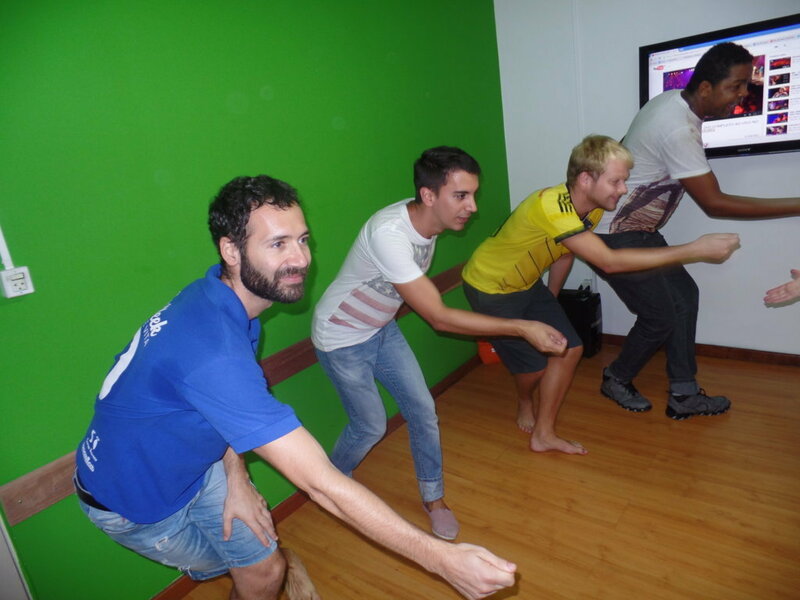 With a lot of patience, teacher Castro taught step by step how to dance this musical rhythm. It was a big challenge but with time passing they were getting into it and learning . In the end, everybody was dancing. The students also asked many questions about samba. This moment was wonderful for them to practice their Portuguese. It was a great afternoon at Rio & Learn. 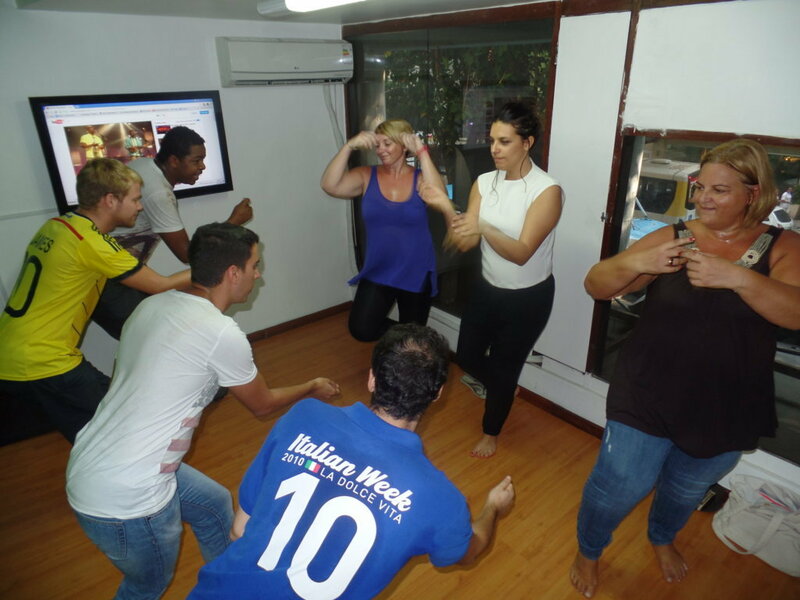 If you look for having fun and learning Portuguese at the same time, Rio & Learn is your place taking part in our RioLIVE! Activities.